Improves safety, efficiency and organisation. The CPS Work Station system brings organisation to the screen printing room to clearly identify the product being used whilst ensuring other cleaning chemicals do not become contaminated. This system offers a simple and cost effective solution to improve safety, efficiency and economy. Recommended for all print cleaning facilities where manual cleaning or stencil processing takes place. 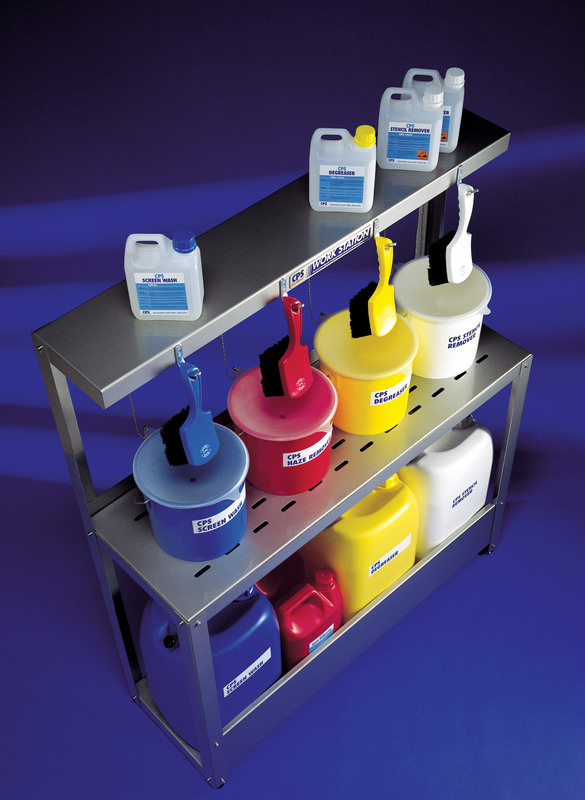 The CPS colour code system covers Degreasing, Ink Cleaning, Stencil Removal and Haze Removal.